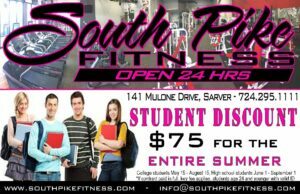 South Pike Fitness is the premier full-service fitness facility in the Sarver area. We are a 24 hour facility located along Route 356 in South Pike Square, Sarver, PA. If you want to be a part of the best; you need to be at SPF!